A stunning three bedroom apartment in St Cross with off street parking. 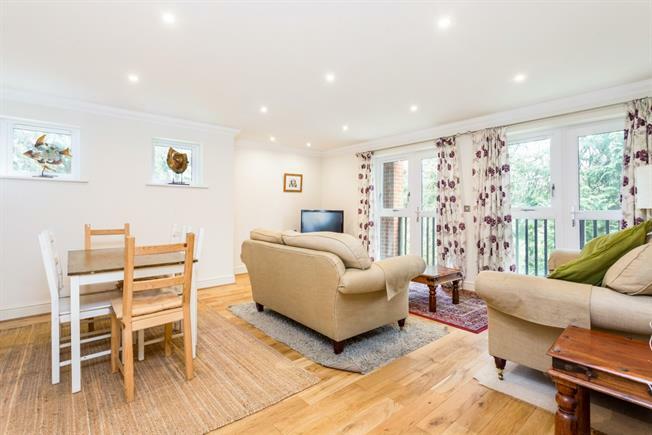 The property briefly comprises Kitchen/Breakfast room with built in appliances and space for a table, along with a door out onto a balcony. The reception room is a bright space with two doors leading out onto another balcony, there is also space in this room for another dining table or multiple sofas. All of the bedrooms are served by separate facilities, the master bedroom having an en suite shower room, the second bedroom has an en suite shower room and the third bedroom is served by a family bathroom with shower over the bath. A balcony stretches the length of all of the bedrooms with each bedroom having a door out to access the balcony. Situated in St Cross with great road and rail links, this property also has off street parking. Offered to the market unfurnished and available now.